There are many suggested benefits from apples that often makes us think of the old saying that an apple a day keeps the doctor away. In some ways this saying might have more meaning to it than we actually thought. This article on the benefits of apples states a wide range of possible benefits that have been researched. 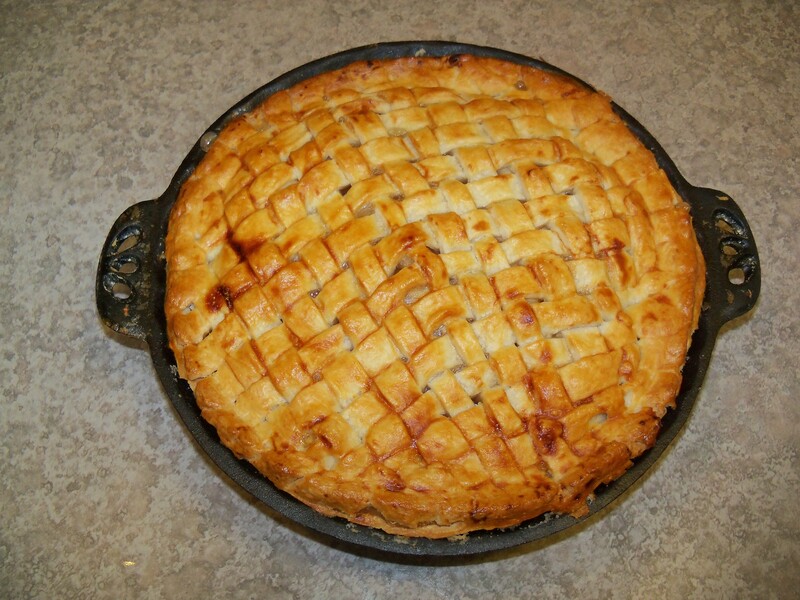 But with all this research one of my favorite benefits is still sitting down with a big slice of apple pie fresh & warm right out of the oven. 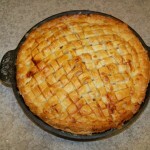 Baking an apple pie in one of my own cast iron pie pans has to be one of my favorite. Put a little bit of ice cream on top of it and you wont get any better. I dont really have an actual recipe for this but you can follow along. Roll out until round shape and approx 1/8 ” thick. roll on your pin & transfer to the pan. 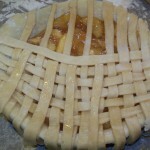 Next fill with your apple pie filling. weave the top like these pictures. 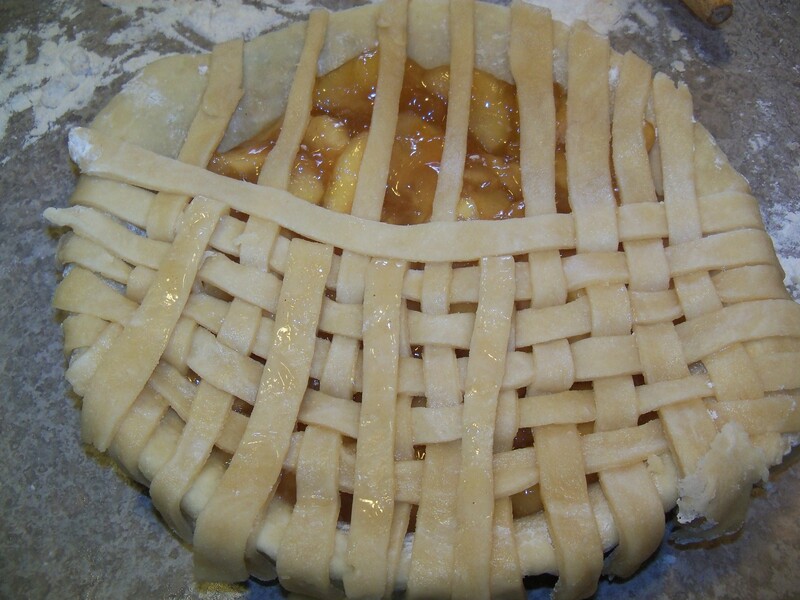 If you do the weave make a double batch for the top so you have enough extra. A person necessarily assist to make critically articles I’d state. That is the first time I frequented your website page and thus far? I surprised with the analysis you made to make this particular put up incredible. Fantastic task!